We’ve had some very cold days in the southeast the past few years, but I wonder if any can match some of these storms. 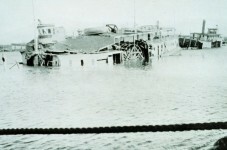 In the Great Blizzard of 1899, blizzard conditions extended all the way to Tampa, Florida with records low temperatures across the southeast. Better Homes and Gardens Special Interest, Kitchen & Bath, September/October 2008 Issue – Find space you didn’t know you had. 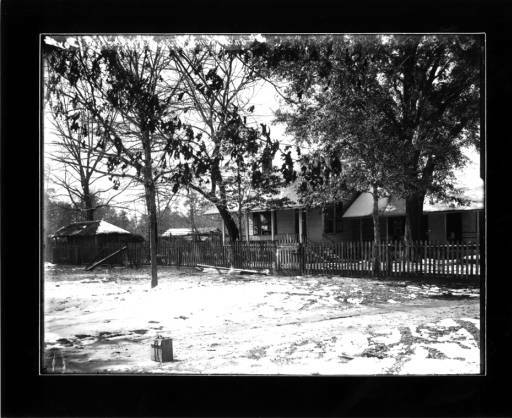 The photograph below was taken January 21, 1935 in Lawrence County, Alabama. During this time, Dust Storms were taking place across the country. 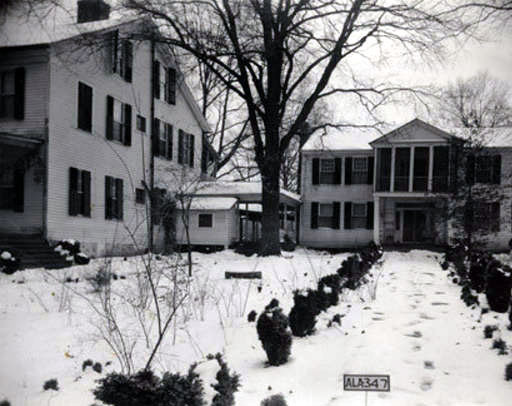 In the winter of 1934-1935, red snow from the dust clouds fell on New England. The last two photographs are of a rare snow storm in Mobile, Alabama March 6, 1954 that extended all the way to Florida. The town of Milton, Florida recorded four inches of snow in one day. 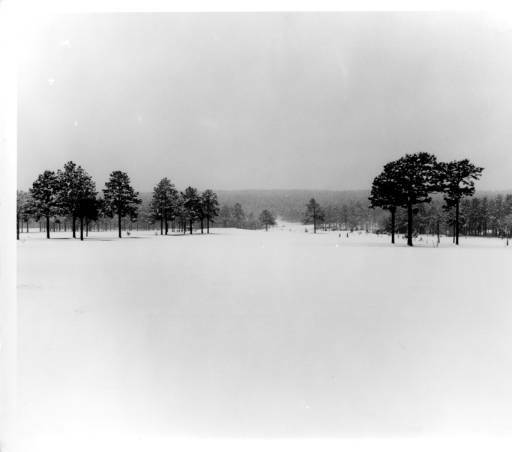 Can you believe that this much snow blanketed the Mobile area in 1954? 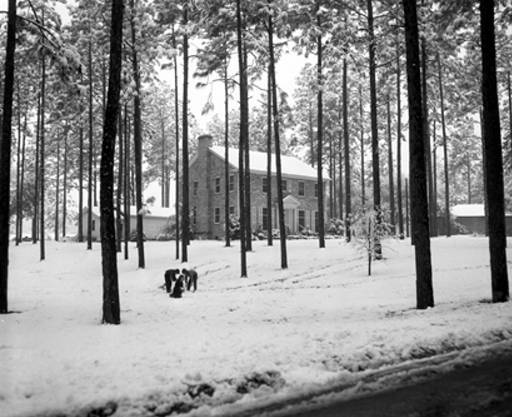 The photograph below from Caroline Horton is of her mother in a 1940 Alabama snow. 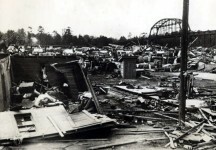 Her mother’s name is Sara Jo Harvill Hamilton (she was the granddaughter of Andrew and Joanna Caffee Smith, Bibb Co.). Her mother is “walking” on the Warrior River by Hwy. 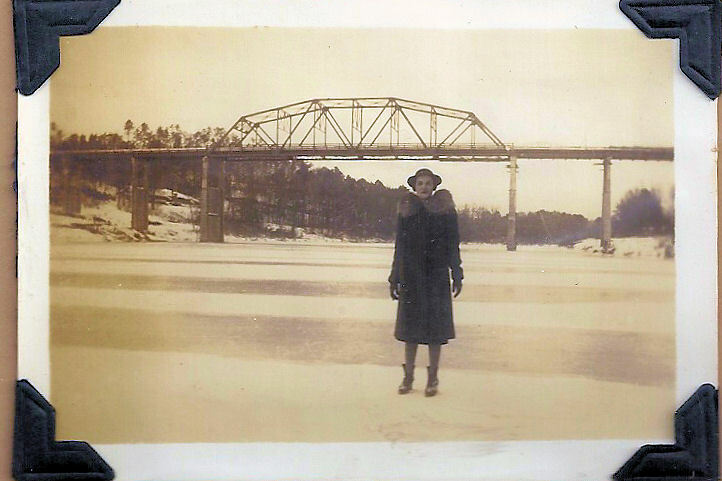 78 bridge in Jan 1940 – imagine that much ice, even for Walker County. Discordance: The Cottinghams Inspired by true events and the Cottingham family that resided in 17th century Somerset, Maryland and Delaware, colonial America comes alive with pirate attacks, religious discord, and governmental disagreements in the pre-Revolutionary War days of America. 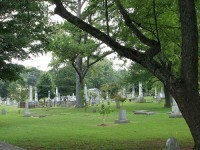 The Cottingham family eventually makes their way to Centreville, Alabama in early 1800s. One of my mother’s prized clippings from the Tuscaloosa News. was a photo and article January 28, 1940 the week my sister was born. It showed an automobile parked on the Warrior River near the bridge from Tuscaloosa to Northport. 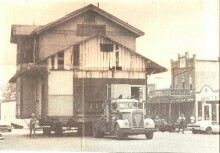 The 1940 freeze lasted two weeks. School was closed during that stretch. There was 10 inches of snow. My friends and I ventured to Caffee Creek, where ice was thick enough for us to walk a few feet from the banks. Folks melted snow for all water uses. Our house was below freezing inside. My bedridden Dad’s drinking water froze on his bedside table with the room’s fire place burning day and night. Mr. Sam Israel sent his man Friday to our house, about three blocks from the [email protected] store, with a double blanket. He walked, no vehicle was moving. A Masonic brother helping another. I’ll never forget the look on my mother’s face when she opened the front door after an unexpected doorbell ring. I’ll never forget that generous gesture. Chickens stayed in their fig tree roost, it was just outside our kitchen window. Mom made a makeshift device with a broomstick and sifter to retrieve the eggs they laid in the snow. I liked snow then, but hate it now. 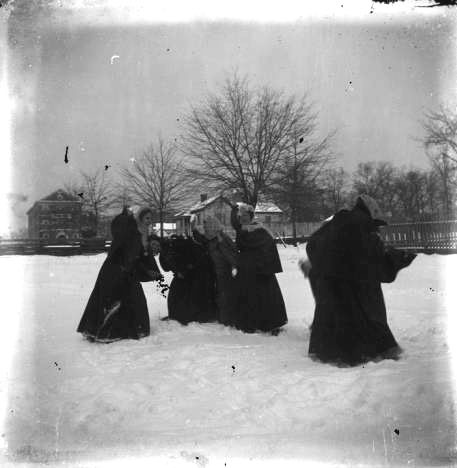 My mother spoke of ice skating on East Lake in Birmingham. 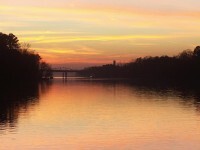 Love the Montevallo and Warrior River pics. My family came from those areas. 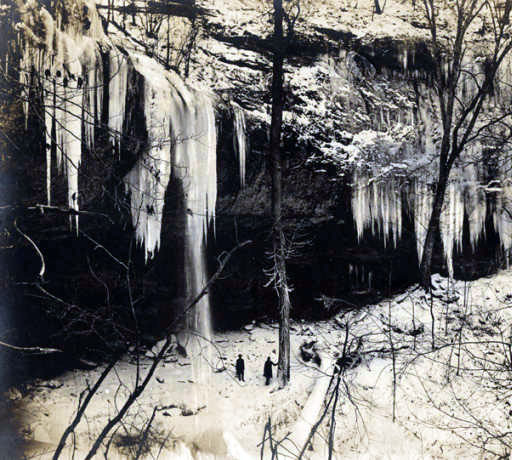 The Tennessee River also froze in 1940. My parents saw friends drive cars out on the ice near Guntersville. They said snow stayed on the ground for a month. I always say that every generation thinks they are the only ones to experience things! People think the weather now is something new. We lived in Mobile when it snowed in March 1954. Our son, Dennis was born the month before in February. Everyone was shocked for it never snows in Mobile, that far south. We have some beautiful pictures of it. 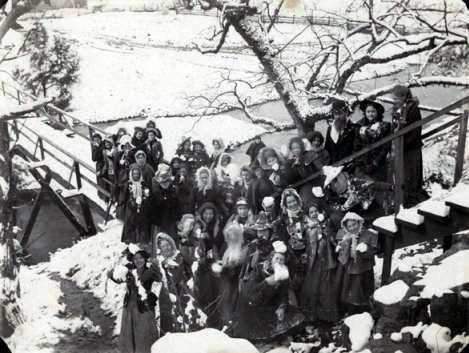 It also snowed in Eldridge in 1940. Our pasture pond froze over and all the young people in the neighborhood skated on it at the same time, it was so solid! 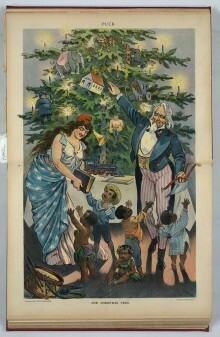 Our family had just moved there. We didn’t know every one. To warm we went to a neighbor’s house to get warm. They had a big roaring fire. The Tennessee River at Florence froze over in 1940 also. My dad said folks were driving cars out on the river. My brother was born 1/19/40. Our parents’ car got stuck in the snow and they barely made it to TCI Hospital in time. yes my parents grand parents talked about it. they were from north alabama. Lee Gibson…does ms. Jerry n ms Wilma remember the warrior river ??? My Grandmother died on Feb 3rd,1898, leaving a 3 day old baby,my mother. I read that that day was the coldest day ever recorded in Alabama! I was born in oct 51, lived my first 6 years in Mobile, near 5 points, that would have made me right at 2 and a half, remember stories in the family of the big snow in 54, but guess I was just a tad too young to remember. Do recall seeing my first snow while living on Dauphine St sometime around 56/57. Interesting….there is one photo dated Jan 21, 1935. That is the day my father was born in Lamar Co, AL and it snowed there too. My grandmother used to tell us about it. Jamee Seale Morris measurable snow fell in Milton when I was four. my dad was born in 1926 and I remember him saying something about the Warrior River freezing over. wish he was still here.